Book Description:Published by: Limited Editions Club in 2008. 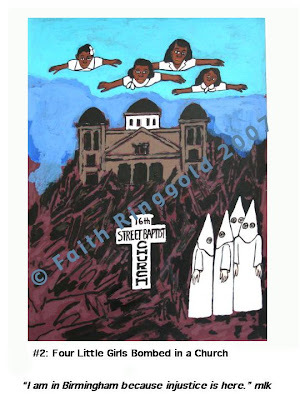 This Edition Limited to 420 numbered copies signed by Faith Ringgold to colophon. 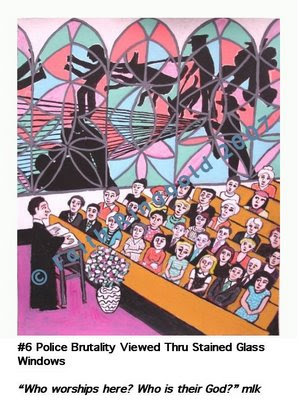 Illustrated by eight serigraph prints by Faith Ringgold. 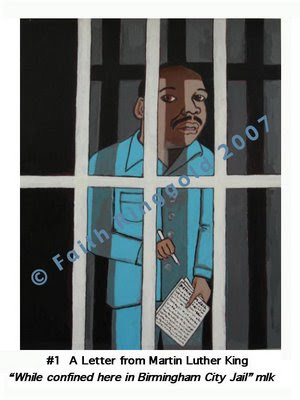 Ringgold's fabulous and evocative serigraph's are superlative accompaniments to Dr. King's stirring text. Each print is hand-pulled and contains an average of 13 colors per print. The public viewed the prints for the first time at a reception honoring Ringgold, a longtime collaborator of Holton and EPI, at the New York Public Library’s Schomburg Centerfor Research in Black Culture. Ringgold’s art has been exhib-ited in major museums around the world and is in the perma-nent collections of the Guggenheim Museum, Metropolitan Museum of Art, National Museum of American Art, Museum of Modern Art, and Boston Museum of Fine Art, among others. folio. 12.25" x 14". Bound in full red linen over boards. Gilt titled morocco label inset to front cover. Encased in a like bound, ultra-suede lined Solander box with gilt titled morocco label inset to spine. Usual paper undulation of hand-pulled serigraphs. A Very Fine, Pristine, apparently unread copy. Book Description: Limited Editions Club, New York, 2008. linen. Book Condition: As New in slipcase. First Edition. Folio (12-1/4" x 14") bound in full red linen over boards with a gilt-titled morocco label inset to the front cover. 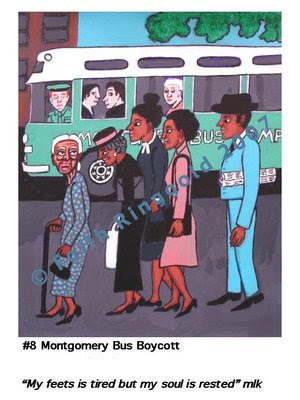 Illustrated by Faith Ringgold with eight serigraph prints, each print hand-pulled containing an average of thirteen colors per print. Housed in an ultra-suede lined solander box with a gilt-titled morocco label inset to the spine. One of 420 numbered copies SIGNED by the artist on the colophon page. 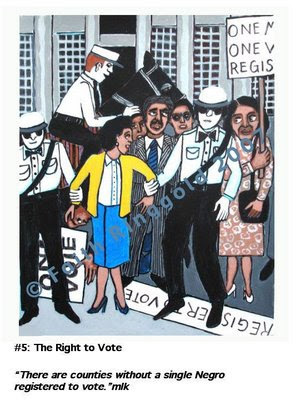 EPI has produced eight original serigraph prints by artist Faith Ringgold for Letter from Birmingham City Jail by Martin Luther King, Jr., which will be shown at a public reception for Ringgold Wednesday, Nov. 28 at the Schomburg Center for Research in Black Culture, 515 Malcolm X Boulevard, New York, NY. EPI produced each of the eight prints for Letter from Birmingham City Jail in a series of 600 to be hand bound in an edition of books and portfolios. The text is to be hand-set lettertype. 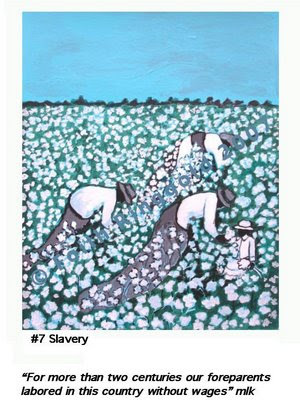 EPI began working with The Limited Editions Club of New York City last spring to produce the prints. Each print is hand-pulled and contains an average of 13 colors per print. The Schomburg Center for Research in Black Culture, of the New York Public Library, is a national research library devoted to collecting, preserving and providing access to resources documenting the history and experiences of peoples of African descent throughout the world. Today, the Schomburg Center contains over 5,000,000 items and provides services and programs for constituents from the United States and abroad. The Limited Editions Club has issued more than 600 editions over the last 78 years using the talents of a tremendous variety of artists, printers, designers, and binders. 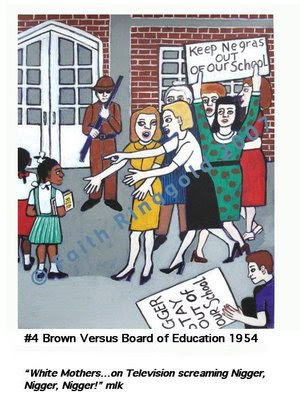 Other books published by the Limited Editions Club include Jacob Lawrence’s Genesis, an edition of 400, Picasso’s Lysistrata, and Thomas Hart Benton books. Ringgold, an acclaimed artist and author, began her artistic career more than 40 years ago as a painter and is best known today for her painted story quilts—art that combines printing, quilted fabric, and storytelling. She was a tenured professor in the visual art department at the University of California at San Diego for 17 years until her retirement in 2002 and has served as an artist-in-residence at Lafayette’s Experimental Printmaking Institute. Ringgold’s first book, Tar Beach, was a Caldecott Honor Book and winner of the Coretta Scott King Award for illustration. She has written and illustrated more than a dozen children's books in addition to books for an adult audience. Her work is in the permanent collection of many museums, including the Studio Museum in Harlem, the Solomon R. Guggenheim Museum, The Metropolitan Museum of Art, and The Museum of Modern Art. She has received more than 75 awards, fellowships, citations, and honors, including the Solomon R. Guggenheim Fellowship for painting, two National Endowment for the Arts Awards, and 16 honorary doctorates. Ringgold has a close relationship with EPI. 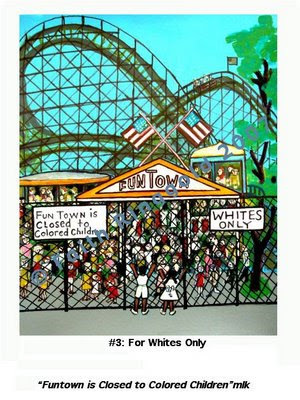 Holton is the author of Faith Ringgold: A View from the Studio (2005), which was published in conjunction with Ringgold’s exhibition at the Allentown Art Museum. Holton and Ringgold have worked together on several projects since 1993.